Roar! Let's create a paper jungle! Reimagine your jungle filled with different endangered species of animals in the wild. 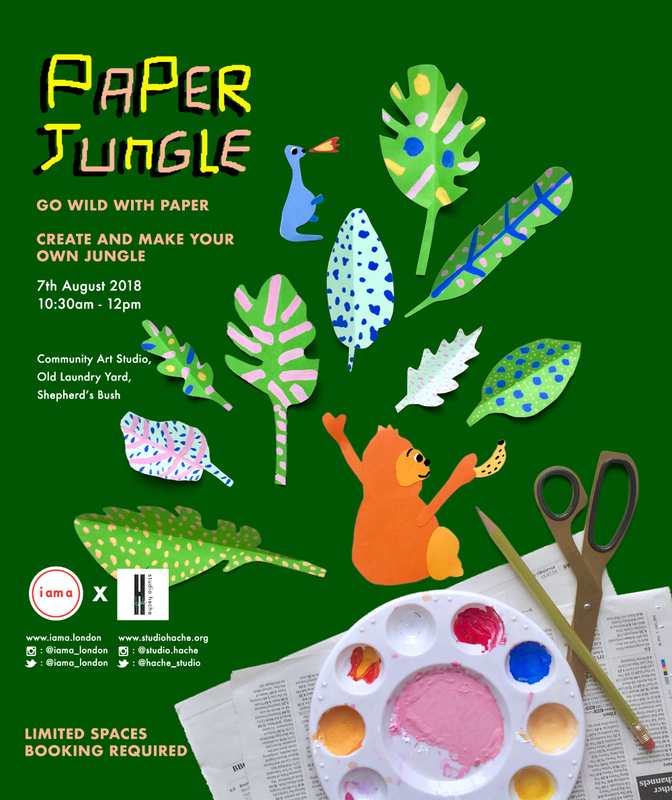 Via this workshop, you will be creating a paper jungle canvas. Using newspaper as your base canvas and the techniques of paper cutting to produce a collage decorating the canvas with a combination of paint, paper, pens and pencils to bring alive your jungle! Yay! This workshop is run in collaboration with Studio Hache, a new Community Art Studio at Old Laundry Yard in Shepherd's Bush. This is a FREE Art and Design workshop for children of local residents aged 7-16 years old. Studio Hache based in West London and provides community art workshops to local residents in the Shepherd's Bush neighbourhood. As the classes are free, and a majority of the art materials are either from donations or with a strong ethos of recycling materials to create art. As part of this workshop, we have chosen newspaper as a material for our canvas, and encourage participants to look for materials around them to help create stencils to form their paper jungle. Donations are welcome. All donations will be towards Studio Hache to encourage and support more free community workshops for residents around the neighbourhood.